Pale Moon has been updated to Version 27.3. Included in the updates are DiD* patches. Note that Version 27.3 is a major development update with many changes in the media back-end. As a result, it is important to realize that some aspects are still a work in progress and some html5 video playback issues with MSE (Media Source Encryption) may be encountered. Updated NSS to 3.28.4-RTM to address a number of issues. Added support for RSA-AES(-GCM)-SHA256/384 suites to broaden compatibility. Reconfigured networking security: disabled static DHE suites by default, enabled all RSA-AES(-GCM)-SHA256/384 suites in their stead. Fixed referrer policy keyword to align with the current spec ("cross-origin" vs "crossorigin"). Added an option to display punycode domain for IDN websites to combat phishing. This is enabled by default for domain-validated https sites. Fixed an issue to prevent contacting remote servers when a connection might get blocked. Fixed several memory- and thread-safety hazards. Fixed a potentially exploitable issue in graphite font shaping. Fixed a potentially exploitable crash with credential-authentication. Fixed out-of-bounds access with text selection in rare cases. Fixed a security hazard in the ANGLE library. Fixed up, checked and enabled vertical text writing modes! Pale Moon will now be able to display vertical, right-to-left script. Added the option to reset non-default profiles. Fixed various issues in the WebP image decoder. Fixed locale selection in ICU after update to ICU58. Re-implemented the previous spellchecker dictionary logic (allow user override of document/element language, improve logic and make it unambiguous). Ongoing fixes for the MP4 parser and MSE. Made HTML Media Elements' preload attribute MSE-spec compliant. The preload attribute on HTML media elements is now ignored in the case of an MSE source. This prevents an issue with sourceopen not firing when preload="none". Fixed some issues with Windows WMF media playback. Fixed an issue with Synced preferences sometimes overwriting stored individual preferences. Fixed display of RSS folder icons. Fixed issues with custom context menus. Fixed an issue importing bookmarks with separators losing their extra data. Changed the way numeric addresses are handled in the address bar so it doesn't perform a search when it shouldn't. 2 = refresh stored tab data from the network and bypass any cached data. Improved upon a v27 performance regression with SVG scaling. Improved performance by being more selective which CSS animations to process. As a side-effect, elements changing their display from "none" to something visible now also animate. Increased memory allocation for the use of very large PAC files. Added menu entries for the permissions manager and improvements to its function and display. accessibility.typeaheadfind.highlightallbydefault = true/false highlight all found words by default. accessibility.typeaheadfind.highlightallremember = true/false remember the last-used state of Highlight All. Added remote IP and protocol to Devtools->Network entry details. Added support for and HTML tags. Fixed a regression in the MSIE profile migrator. 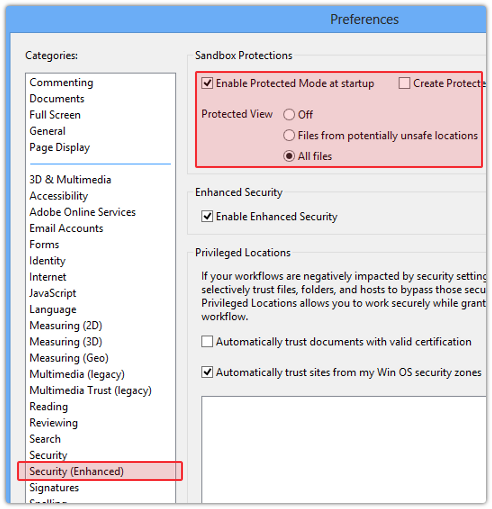 Removed migration of browser-specific settings when migrating data from IE/Safari. Implemented optional parameters for permessage-deflate in preparation for RFC7692 errata making acceptance of them mandatory (and to prevent web compat issues doe to the current conflicting text of it). Made the image document favicon skinnable. Aligned DOM selection addRange with the spec. Exposed mozAnon constructor js binding to system scopes for XHR. Mozilla sent Firefox Version 53.0 to the release channel today. The update includes a massive 35 security updates identified as eight (8) Critical, sixteen (16) High, seven (7) Moderate updates and four (4) low security updates. Firefox ESR was updated to version 45.9.0. Oracle released the scheduled critical security updates for its Java SE Runtime Environment software. The update contains eight (8) new security fixes for Oracle Java SE. Today marks a red letter day for Microsoft updates. In addition to security updates, sparking the most attention is the official release of the Windows 10 Creators Update (see the Windows Experience Blog post, What’s new in the Windows 10 Creators Update). Of lesser interest to many is the official "End of Life_ for Windows Vista. "Microsoft has released an update for Microsoft Office that turns off, by default, the Encapsulated PostScript (EPS) Filter in Office as a defense-in-depth measure. Microsoft is aware of limited targeted attacks that could leverage an unpatched vulnerability in the EPS filter and is taking this action to help reduce customer risk until the security update is released. Microsoft strongly recommends against turning on the EPS filter at this time, however customers who need to turn on the EPS filter can reference KB Article 2479871." The April Microsoft updates address vulnerabilities in Internet Explorer, Microsoft Edge, Microsoft Windows, Microsoft Office and Microsoft Office Services and Web Apps, Visual Studio for Mac, .NET Framework, Silverlight and Adobe Flash Player for Windows 8.1 and above. Addressed in the updates are Remote Code Execution and Elevation of Privilege. Microsoft has completed the change replacing security bulletins with the new Security Updates Guide. The new guide includes the ability to view and search security vulnerability information in a single online database. The guide is described as a "portal" by the MSRC Team in Furthering our commitment to security updates. For more information about the updates released today, see https://portal.msrc.microsoft.com/en-us/security-guidance/summary. Information about the update for Windows 10 is available at Windows 10 update history. Adobe has released Version 25.0.0.148 of Adobe Flash Player for Microsoft Windows, Macintosh, Chrome and Linux. These updates address critical vulnerabilities that could lead to code execution and potentially allow an attacker to take control of the affected system. Adobe has released security updates for Adobe Reader and Acrobat XI for Windows and Macintosh. These updates address critical vulnerabilities including code execution, heap buffer overflow, memory corruption, integer overflow, memory corruption and, finally, vulnerabilities in the directory search path used to find resources that could lead to code execution. Adobe Reader XI (11.0.20, Pro and Standard) for Windows is available here: http://supportdownloads.adobe.com/detail.jsp?ftpID=6155.